First it was Betamax and VHS, then it was DVD and fast forward to current times and you will find many now download films from the internet. That is just an example of how the world of popular entertainment has changed a lot over a relatively short space of time. Such developments are also apparent with entertainment on buses and coaches. Chris Peat spoke to several providers and installers of onboard entertainment to find out what the trends are. Onboard entertainment equipment from CMS. Andy Baxter from Coach Multimedia Systems (CMS) said one of the most popular products he is currently installing on vehicles are USB charging points. He said many passengers are now bringing their own devices onboard, whether it’s a tablet, phone or laptop and entertaining themselves. With such mobile devices notoriously energy thirsty, batteries on them run low quickly so every opportunity is taken to charge them. This is where the USB points come in handy. He has been fitting a lot more Wi-Fi routers lately too. Andy is to introduce a new streaming system ‘shortly’, which will allow passengers to connect wirelessly to a system to be able to download the media of their choice to their mobile device. This new system could also be a new source of revenue, with the possibility to sell advertising on it and to charge for media downloads. With there being more focus on mobile internet access onboard PCVs, there is no surprise there are several new innovations coming out for this. Icomera has one of them, having launched its new M4X next generation in-vehicle cellular router. The unit is designed to addresses the coach and bus industry’s developing need for a connectivity platform that can support multiple, resource intensive applications such as passenger Wi-Fi, infotainment and real time CCTV simultaneously as part of a single solution. Icomera’s M340 Moovbox being installed. Since they will not be streaming large media files over the web, passengers using locally stored media significantly reduce the load on the internet connection for other users of it. 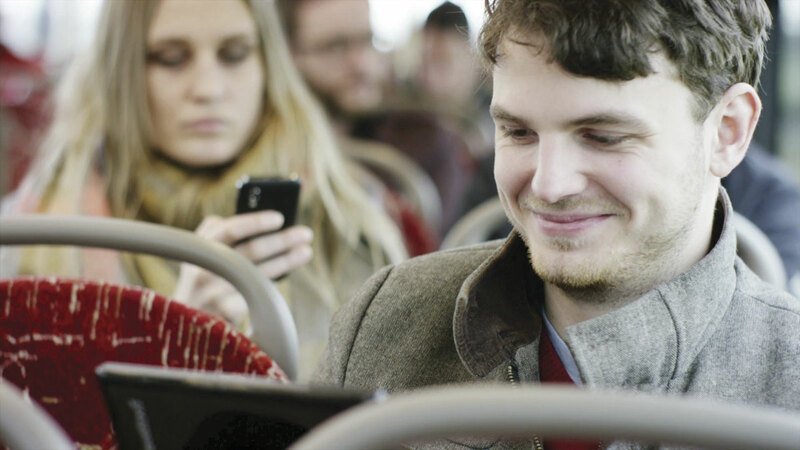 Moreover, stored media can start to reduce the bus or coach operators’ mobile data costs. With these reduced data costs, the combined Wi-Fi and infotainment solution can become even more cost effective than offering the two services separately. 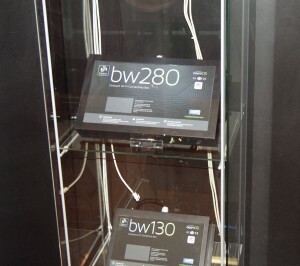 As part of its new Beam 200 series onboard Wi-Fi, Mobile Onboard has recently launched its new BeamTV. A built-in media server, BeamTV comes as standard with the company’s new bw280 flagship bus Wi-Fi system enabling passengers to stream content (movies, television, music, etc) directly to their mobile devices. Visitor information can be added too, enabling details on destinations the coach is visiting to be provided as part of a tour service. This content is viewable not only on personal devices, but with a built in HDMI and Audio Out it can also be connected directly to a vehicle’s own audio/visual system. 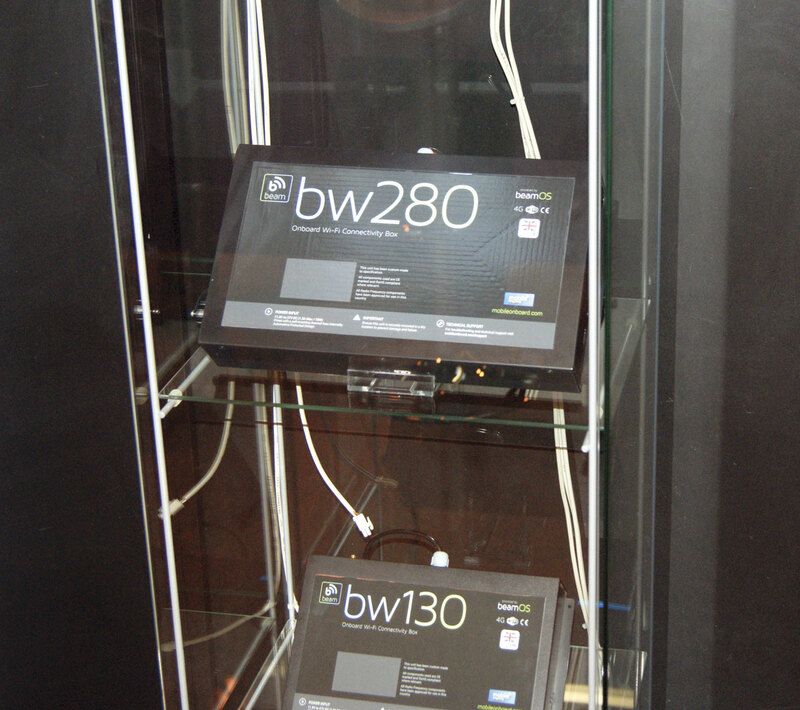 Mobile Onboard’s bw280 flagship bus Wi-Fi system. Beam TV comes as standard with a fast 240GB SSD solid state hard drive, which has the capacity to store around 240 movies. There are bigger memory capacity options available on request. The technology is similar to what can be currently found on airline BYOD (Bring Your Own Device) entertainment systems. Corbin Adler from Mobile Onboard believes that passengers being able to access content and entertainment using their own mobile devices onboard is the ‘way forward’, especially for the touring coach sector. Corbin said passenger Wi-Fi onboard buses and coaches is becoming more of an ‘expected feature’ rather than something that is ‘nice to have’ for passengers. ‘This has driven our continued growth in sales of our Beam bus Wi-Fi systems. For operators, what is appealing about our Beam Wi-Fi systems,’ he said, ‘is their simplicity and flexibility.’ Pricing plays a key part as well; he describes it as ‘cost-effective’. Driving developments in passenger entertainment are passengers’ expectations. Operators now understand this more than ever, he claimed, saying they are now getting to grips with how they can get the most out of on board Wi-Fi and are thinking beyond just offering passengers internet access. The addition of BeamTV is all part of what Corbin describes as ‘a way to make the investment of on board Wi-Fi more compelling for operators while providing added value for the passenger’. More people are bringing their own devices onboard for entertainment, from lap tops and tablets to mobile phones. USB sockets are also proving popular for Hants & Dorset. The company can fit these devices as part of a wider refurbishment package if required. Despite this focus on internet connectivity, guided tours are likely to always play a part in keeping passengers entertained. V6E provides multilingual commentary systems for all sorts of sightseeing tours. Its range consists of three main models, which can be configured to suit requirements. Built to ‘military specification’, they feature headsets for each passenger mounted inside the vehicle and function in a wide range of temperatures (-20 to 70˚C) to stereo/MP3 quality. They use a digital network designed to have zero interference, as well as an LCD screen intended to be fully readable in sunlight and back lit for night use. The software behind the systems is soak tested for over five days of continuous operation. The commentary can be GPS linked, with the recordings triggered once the vehicle reaches pre-programmed destinations. Housed in an impact and water resistant case, they record as a percentage what languages passengers are listening to, which can be inspected at any time. 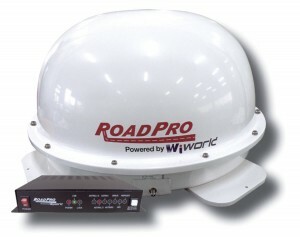 RoadPro provides satellite domes for onboard television on the move. As well as online fun and guided tours, good old television can keep passengers entertained too. 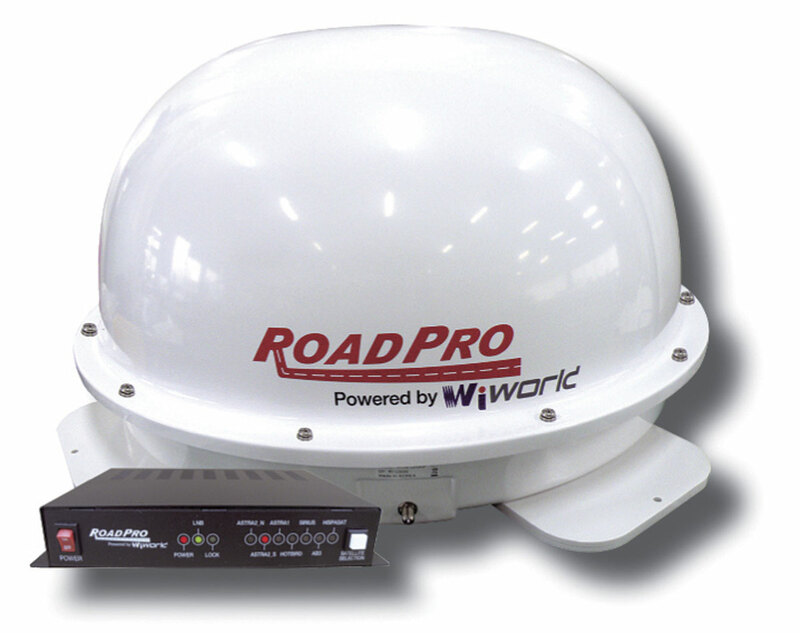 Receiving a signal in a moving vehicle has always proved problematic, but RoadPro has a product for this. Its 30cm SatDome provides satellite reception while the vehicle is moving. The dome has a low profile design, 30cm high in total. 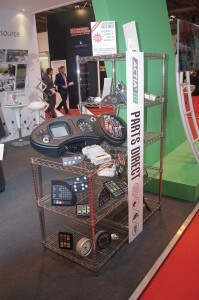 A variety of channels should be available with this product in various parts of Europe. If you don’t want to go down the route of pre-recorded tours, then having a live one is another option, which would require a microphone. 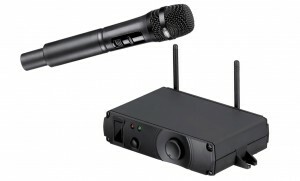 Autosound from Bradford has recently launched a new microphone from Bosch. The WirelessMicrophone System is a cordless FM radio microphone for installation in vehicles with a 12V or 24V onboard power supply. 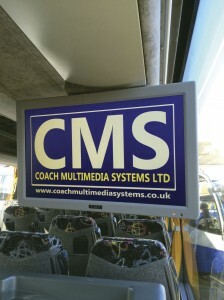 The ConnectionCable WMS is available for connecting the system to Bosch multimedia bus systems and radios. To charge the device, a Coach ChargingStation W can be provided, which can be wall mounted if required. The microphone from Autosound’s Bosch WirelessMicrophone System. Autosound provide more than just microphones. The company supplies Bosch Professional equipment including audio/visual entertainment packages and a wide array of other devices. The company has recently started a relationship with Funtoro, supplying its server based in-coach entertainment systems featuring touch screens and hub based self diagnostics technology. Up to 54 screens can be set up with demand led multimedia entertainment. Funtoro MCA or multi channel audio can also be provided, which delivers up to 32 channels of audio and can be synchronised to GPS to deliver automated multi-language guide commentary for tour buses. If there is nothing of interest on TV, then a DVD might be another option. Of course, to play a film onboard a PCV requires the consent of the copyright owner or their representatives. A provider of these licenses is Filmbank Media, which distributes film and TV entertainment to the transport sector, working directly with train and bus operators, manufacturers and key technology providers. The company provides a range of films and TV series to offer passengers a wide choice of entertainment. It works with software solutions developer, Swank Motion Pictures, to ensure the onboard audio/video streaming systems are security compliant for studio/distributor approval to allow content to be shown. Actia launched its Parts Direct service at Coach and Bus Live this year. The package covers all of its products, including entertainment systems. Whatever route you go down when it comes to onboard entertainment, hardware plays a big part. As with all equipment of this nature, replacement parts and repairs are inevitable. With this in mind, Actia has launched its Parts Direct service. This sees the company supply replacement products and components for its legacy equipment. The technology specialist has been providing its products, including a wide range of entertainment related devices (radios, PA systems, monitors and media players), for almost 15 years now. It can also undertake repairs of equipment no longer in production. AD Coach Systems can help in fitting onboard entertainment or any kind of electrical product. Supplying Actia and Bosch equipment, it can provide onboard entertainment for in coach applications using the latest TFT screen technology. The company can fit various screen sizes, as well as installing satellite TV on vehicle roofing, using KVH TracVision units in conjunction with a Sky or Freesat satellite tuner. Entertainment systems can be designed to meet customers’ requirements, with the company able to install audio/video systems, as well as Wi-Fi and individual headphones to name but a few products.